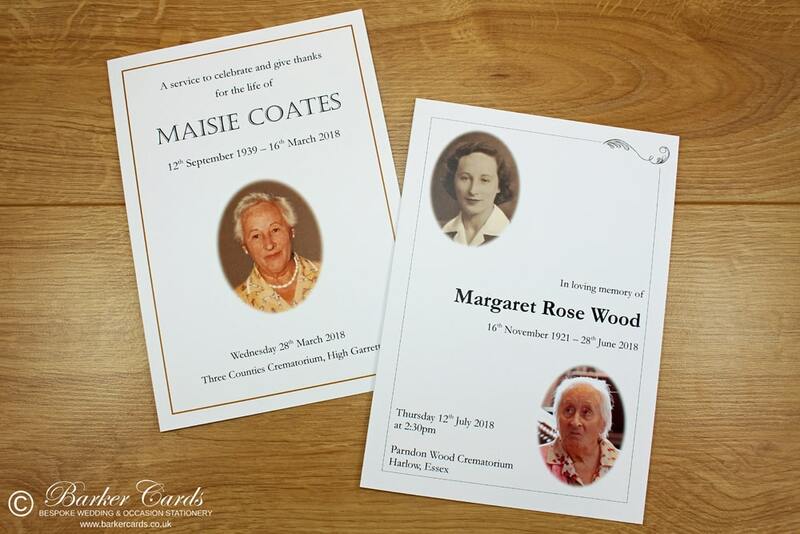 Funeral Orders Of Service Printing From Your Own Design. PRINTING FUNERAL ORDERS OF SERVICE / FUNERAL SERVICE SHEETS FROM YOUR OWN DESIGN. 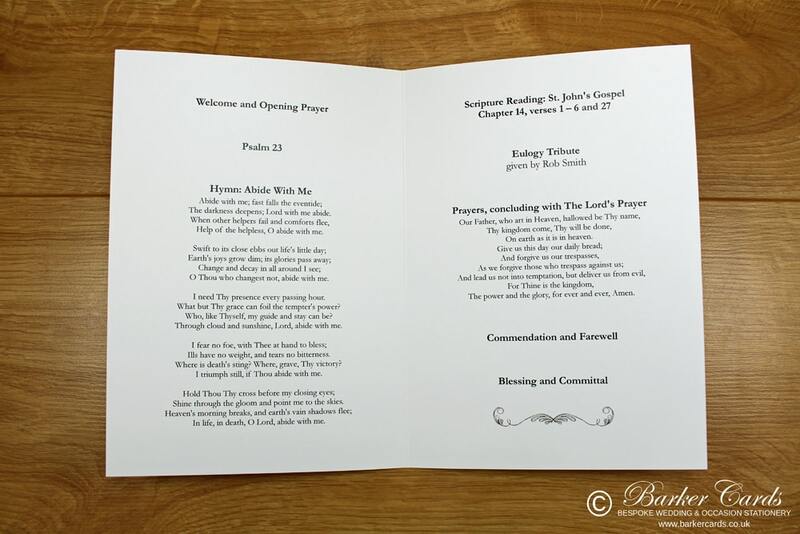 We offer high quality printing of funeral orders of service from your design. Whether it a borderless print or just a standard order of service we are here to help. All funeral orders of service are finished with a professional crease and can be booklet stapled if required. Please contact us to discuss your order requirements. and to order using product code OOSP01.